Video images processing is widely used for attitude motion determination of/for formation-flying satellites. 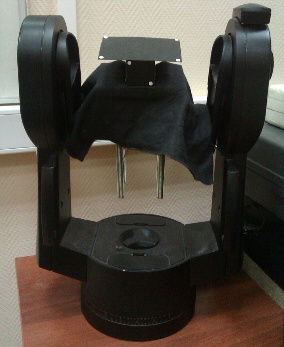 To study the motion algorithms a special facility was developed in the Keldysh Institute of Applied Mathematics. 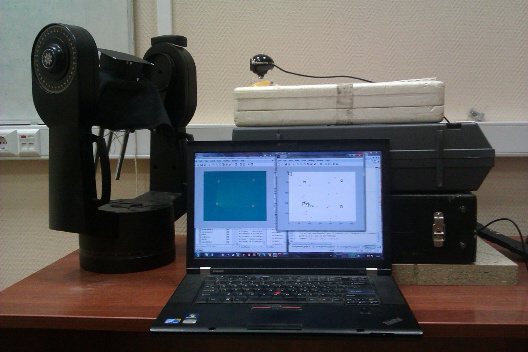 The facility consists of a rotary table and web camera the images from which are processed by special software.